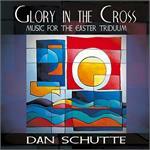 Dan Schutte, a native of Milwaukee, Wisconsin, has been composing Catholic music for worship for 30 years. Much of Dan Schutte's music, including his most celebrated pieces, Here I Am Lord, City Of God and Sing A New Song come from his years as a member of the St. Louis Jesuits. All three songs are featured on the Here I Am Lord CD. While Dan's compositional style has continued to develop, his more recent pieces, such as Table of Plenty, Holy Darkness, and Sing O Sing from the Table of Plenty CD still exhibit that enduring ability to reach into our hearts and draw us into prayer. 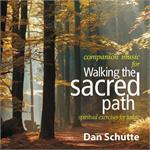 Dan Schutte's first solo collection. Listeners will find it filled with the beautiful melodies and scripture-based texts that are the hallmarks of his music. Released in 1989, this was Dan’s first solo collection. It includes songs that are less well known among his compositions, but also features pieces that have become part of the common repertoire in my worshiping communities. 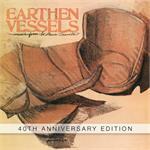 Delve straight to the heart of prayer with 12 songs for the liturgy. Songs in the four suites include Ever On My Lips, All My Days, Sing a New Song, God of Love, Though the Mountains May Fall, City of God, and Like Cedars. Deepen your relationship with Jesus Christ with these 30 exercises based on the spirituality of St. Ignatius of Loyola, founder of the Jesuits. 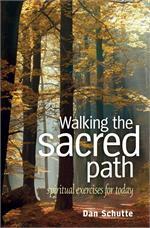 Dan Schutte's favorite songs serve as companion music for the 30 Ignatian spiritual exercises found in his book, Walking the Sacred Path: Spiritual Exercises for Today. Psalms, hymns, litanies and prayers of intercession for Holy Thursday, Good Friday and the Easter Vigil. Gathering Dan's most popular songs from 1985-2000. Includes: Holy Breath of God, Handmaid of Heaven, Litany of Peace, Come Stay With Us, and God's Holy Gifts. 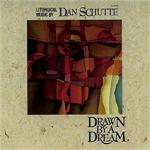 Instrumental arrangements of Dan Schutte's songs. 30th Anniversary Edition Includes: City of God, Though the Mountains May Fall, Blest Be the Lord, Only This I Want, and Here I Am Lord.